Bubble gum can be a tough space to innovate in. Gum goes in mouth. Chew. What more is there? Gum maker Project 7 believes the answer is in flavor design. 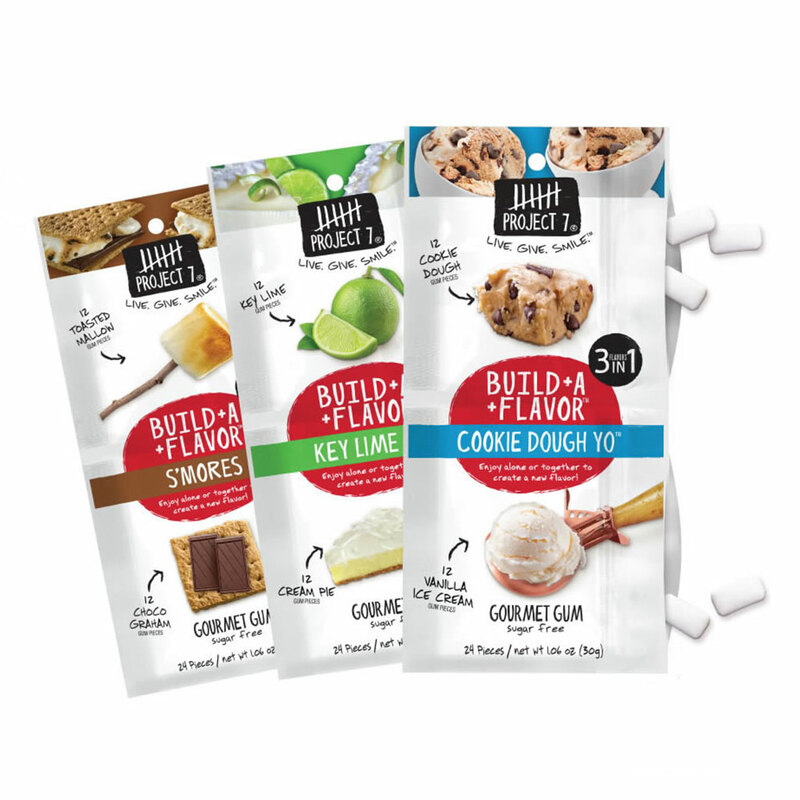 Their idea, which they call Build-A-Flavor, is as simple as it sounds: Each pack of gum comes packed with two different varieties that are meant to complement each other. Gum lovers then have the choice to either chew each flavor separately or pop multiple pieces in their mouth to bring the flavor combination to its full potential like some sort of chewing gum Voltron. The different combination varieties include Half & Half, Key Lime Pie, S’mores, Cookie Dough Yo and Strawberry Margarita – with the individual flavors within each combo being relatively self-explanatory. For instance, S’mores contains a “toasted mallow” gum and a “choco graham” gum. Yes, you can finally get creative about how you chew your gum, not just about where you stick it after you don’t feel like having it in your mouth anymore. Though feel free to get creative on the latter too. Under your desk is so passé these days.